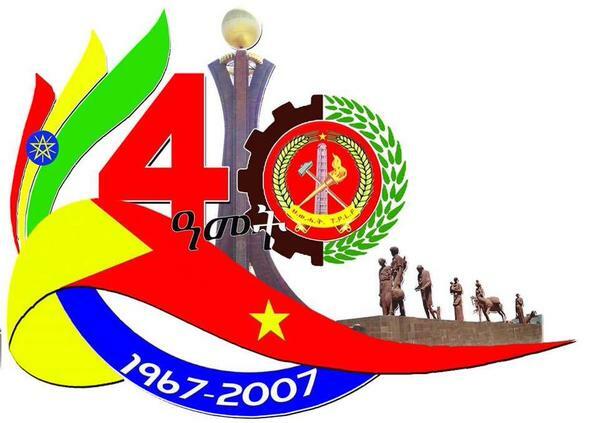 (OPride) — On Feb. 18, Ethiopia’s rebel group-turned autocratic organization, the Tigray People’s Liberation Front (TPLF) celebrated the 40th year anniversary of its founding in Mekelle, the capital of Tigray state. The event capped more than two months of celebrations that included various forums, guided tours for artists and journalists and other festivities. Formed in 1975 to seek redress of Tigrayan grievances against the central government in Ethiopia, TPLF is the product of Marxist era liberation ideology. Over the last four decades, the party has gone from a shadowy rebel group established to carve out an independent Tigray state from imperial Ethiopia to the country’s sole kingmakers. The latest anniversary was celebrated with much fanfare, complete with speeches by foreign dignitaries such as Sudanese President Omar Al-Bashir, Rwanda’s Paul Kagame and representatives of Ethiopia’s ethnic-based coalition, the Ethiopian People’s Revolutionary Democratic Front (EPRDF). The festivities, which included laying wreath for a new Martyrs’ Monument, played out on the state-run television nationwide for days. But the celebration was notable for other reasons. For one, Ethiopia will hold its fourth national election in May. 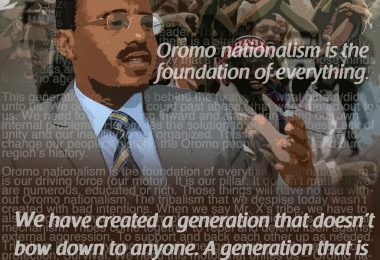 Second, it is the first such grand event TPLF has undertaken since the death in 2012 of its leader, Meles Zenawi. Amid noticeable differences between the old guard and new rank-and-file members, TPLF has struggled to find Zenawi’s replacement. This made the fact that the head of government is a little known southerner even more visible. But the event was also yet another reminder of the leader’s lack of charisma and outsider perspective. Unlike most of his TPLF bosses (otherwise known as advisors), Hailemariam Desalegn is a civil servant who did not participate in the armed struggle. 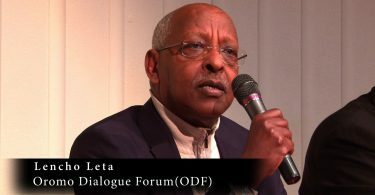 TPLF prides itself on the years of bitter struggle against Mengistu Hailemariam’s Derg regime. But it has seen a slow decline after key figures were sidelined in the 2001 and subsequent power struggles. Most of TPLF’s senior politburo members are approaching retirement. As such, the timing of the anniversary was meant to unify the party and boost morale among its core base ahead of this year’s elections. Reports from Mekelle show emotionally charged theatre, suggesting some modicum of renewed spirit among Tigrayans. Indeed, the people of Tigray have much to celebrate. Once home to a famine of historic proportion, the Tigray region has greatly benefited from TPLF’s rule. For example, Mekelle has become an economic, political and information hub. Tigray has three major public universities and five international standard airports. (There are also more than 50 community colleges; two technical schools; one business college; one nursing school and agricultural college. Mekelle University has three campuses.) The Tekeze hydroelectric dam, Ethiopia’s single largest public works project and the tallest dam in Africa, provides a relatively reliable electric power for Tigray. The Ashegoda wind farm, inaugurated in 2013 just 18 kilometers outside of Mekele, is the largest wind turbine in Africa. The Mekelle-Djibouti railway project, which connects Tigray to neighboring Djibouti, is being built at the cost of $3.2 billion. Authorities laid the ground for Mekelle-Woldia railway project last month. Perhaps more important, Ethiopia’s single largest conglomerate, EFFORT, controls most of the country’s economy. These are but a few examples of the major gains that the Tigray region has registered under TPLF’s reign. But none of this is to say there are no universities or public projects elsewhere in Ethiopia. There are. But Tigray contributes little to the national GDP but has been a major recipient of some of the largest public investments in the country’s history. In short, Tigrayan elites hold a virtually uncontested and unrivaled control over the country’s political, economic, security and military. This is not to suggest all Tigreans benefited equally from TPLF’s rule either. However, the remarkable improvement in the region’s livelihood came at a great cost. Ethiopia remains a highly centralized police state. The TPLF regime has systematically decimated the opposition and media using a plethora of draconian laws. Outside Tigray, locals decry the poor quality of education and public service. Corruption and cronyism are as rampant as ever. Development projects are tailored to the need of the elite at the expense of massive rural displacement. At no other time in the country’s history did the Tigray people enjoy so much economic and political freedoms. The TPLF grew out of local grievances and neglect from the communist regime. Tigrean peasants were among the first to rebel against emperor Haile Selassie’s feudal autocracy. In the last two decades, however, the region enjoyed remarkable economic growth and complete autonomy with no local opposition to the TPLF rule. On Feb. 17, the leader of Tigray state Abay Woldu sent a mass SMS message to all cellphone users in Ethiopia. The self-congratulatory message was a reminder of who runs the country and which anniversaries and celebrations are worthy of national spotlight. TPLF’s Ethiopia has no free press to speak of. The political playing field has grown more unequal as the years grind on. Ethiopia’s Western donors and TPLF’s African allies continue to ignore the regime’s increasing authoritarianism. “You never wavered in your commitment to build a robust national unity that is, at the same time, firmly anchored in Ethiopia’s remarkable diversity,” Rwandan president Paul Kagame, said at the 40th anniversary celebration. “You have charted your own course, based on a deep analysis of your history and circumstances, and stayed the course. 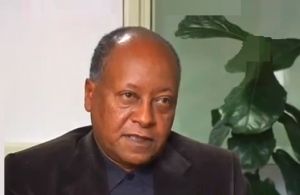 As a result, Ethiopia is peaceful, stable, and increasingly prosperous.” This is not surprising. As the old saying goes, birds of the same feather flock together. In early 1990s, Kagame and Zenawi were among Bill Clinton’s imaginary “new generation” of African renaissance leaders. They belong to a generation of Africa’s former freedom fighters turned tyrants who refuse to peacefully give up power. As with TPLF’s Ethiopia, Kagame’s regime has grown increasingly unpopular and tyrannical. 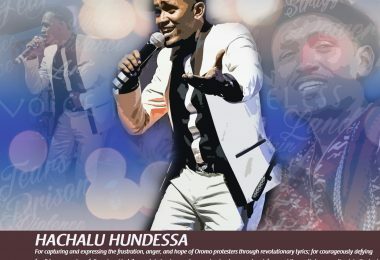 Last year, Oromo students’ resistance to the aims of the master plan led to Oromia wide protests, resulting in scores of deaths and hundreds of arrests. The latest developments don’t portend well for Ethiopia. The Oromo youth increasingly feel alienated — kept out of employment and educational opportunities reserved for Tigrayan students. The OPDO seems less empowered and more humiliated than ever before to challenge the TPLF leaders. One such humiliation came during the celebrations in Mekelle. Until now the OPDO maintained that the organization was founded in North Shoa, Dara District at a place called Gundo Maskala. This changed last week when OPDO leaders were heard proclaiming Tigray’s Adet woreda as the site for the organization’s founding. An Increasingly incensed public is viewing all of this skeptically. Any attempt to forge ahead with the master plan is likely to be met with stiff resistance, not only from the Oromo youth but also from OPDOs rank-and-file. Still, it would be naive to assume any change anytime soon. The TPLF is simply comfortable, the only significant challenge coming from within. But even as they tout 40 years of struggle and all that came to pass — both good and bad — the TPLF still maintains its Marxist guerrilla attitude. Its tyrannical rule might have enriched Tigrayan elites and improved living conditions in Tigray, but the status quo is increasing untenable. One hopes that the 40th anniversary offers some moment of reflection. The choice is clear: continue to cling to power by force and ensure a bloody end, or loosen the economic and political grip on the country in keeping with the spirits of the freedom upon with TPLF was established. Unfortunately, the former seems the most likely scenario. *The writer is an OPride contributor based in the United States.